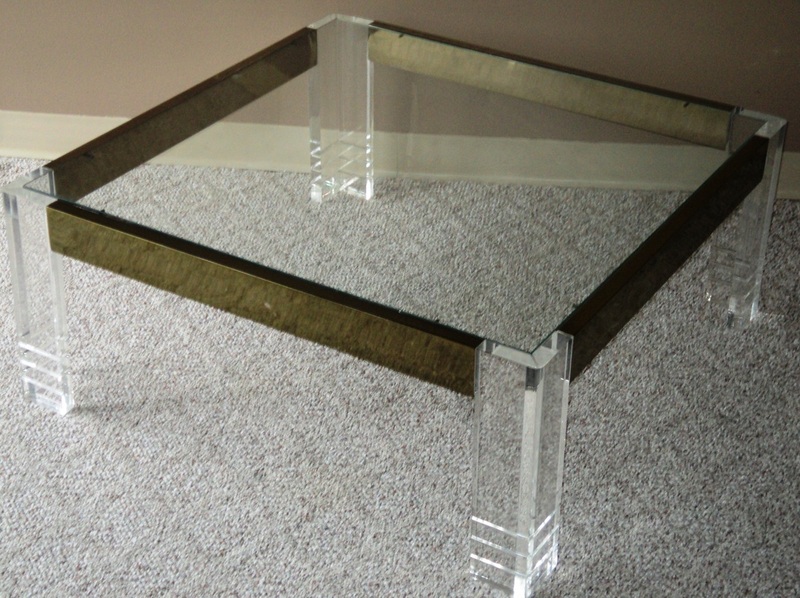 SOLD-Impressive Square Lucite, Brass & Glass Coffee Table. 1970s/USA. SOLD-Dimensions: 36 x 36 x 14.75. Excellent Vintage Condition. 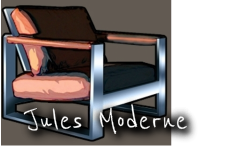 Surface Wear to Brass/Lucite Consistent with Age, Materials, & Use. 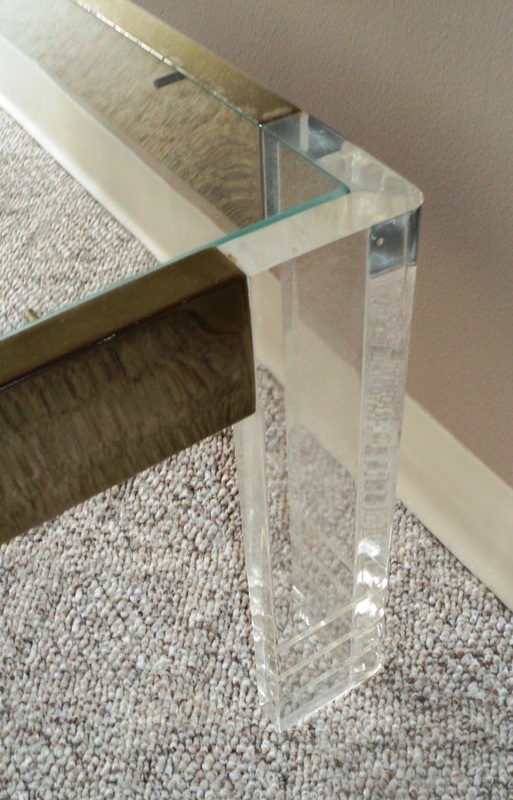 SOLD-One Inch Thick Lucite Legs. Plated Brass Molding. 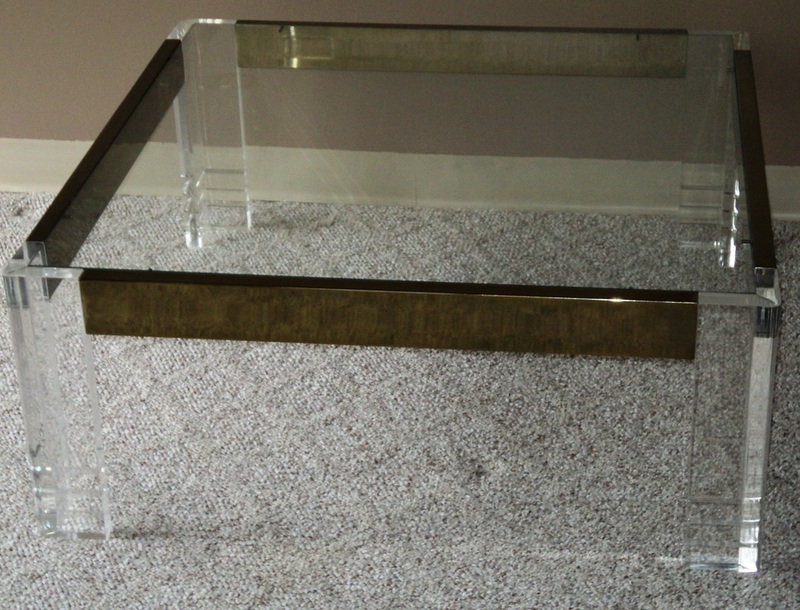 Original Square Glass Top.